It’s always a wonderful opportunity to be able to learn and travel at the same time! 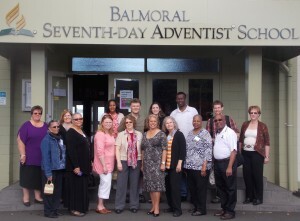 A group of NAD educators did just that in March 2014 during a trip to New Zealand and Australia to visit schools as well as learn about the cultures of these two countries. They came back with life-changing stories and ideas on how to bring out the “special character” of their schools. As Adventist education continues the Journey to Excellence, schools must be committed to the goal of continuous improvement. And in this increasingly “flat” world, it is advantageous to communicate and collaborate with our global Adventist colleagues as we make the necessary shifts in practice to prepare our learners for the 21st century as well as for eternity.